I once provided the scroll where Jesus mentioned his (possibly someone else’s) wife. I was just told that the Bible doesn’t mention that. But that isn’t good enough Spencer. Why was I not given a link to a site written by a biblical archaeologist to dispute the claim? I would have loved that. I agree that that’s not good enough and Christians should not be threatened with that information. The biblical evidence does not support this view of Jesus having a wife and it would be interesting to know the origin of such a scroll. Please appreciate that it takes years for Christian scholars to investigate and respond to such information in peer-reviewed journals. Many of the laity who participate in online forums like this would not have access to journals that review such material. I have such through online access to my university library. Most of the people in my church wouldn’t have such access or much interest. What are the claims about Jesus’ wife? ‘A highly-contentious document which allegedly proves that Jesus Christ was married to Mary Magdalen is at the centre of a fresh dispute about its authenticity. The fourth-century papyrus fragment is the subject of an article by Karen King, a professor from the university’s Divinity School, which was due to be published in Harvard Theological Review this month. But [put] the piece on hold while fresh tests are carried out on the manuscript’. ‘AT an academic conference in Rome on Tuesday, Karen L. King, a church historian at Harvard Divinity School, presented a finding that, according to some reports, threatened to overturn what we know about Jesus, as well as the tradition of priestly celibacy. She identified a small fragment of fourth-century papyrus that includes the words, “Jesus said to them, ‘My wife…’ ” Another clause appears to say, “she will be able to be my disciple.” Some experts have concluded that the manuscript, written in Coptic, is authentic’. A newly revealed piece of papyrus offers evidence that some early Christians believed Jesus was married, according to a Harvard Divinity School professor. 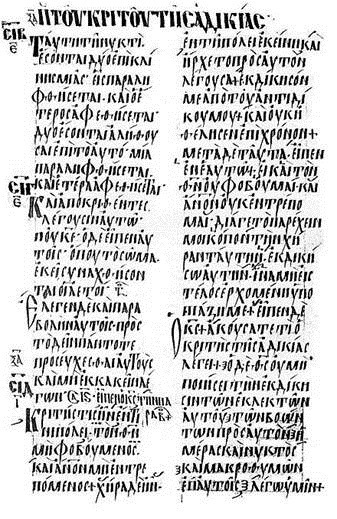 A fourth-century codex in Coptic quotes Jesus referring to “my wife,” Karen King, a scholar of early Christianity, said on Tuesday. It is the only extant text in which Jesus is explicitly portrayed as betrothed, according to King. 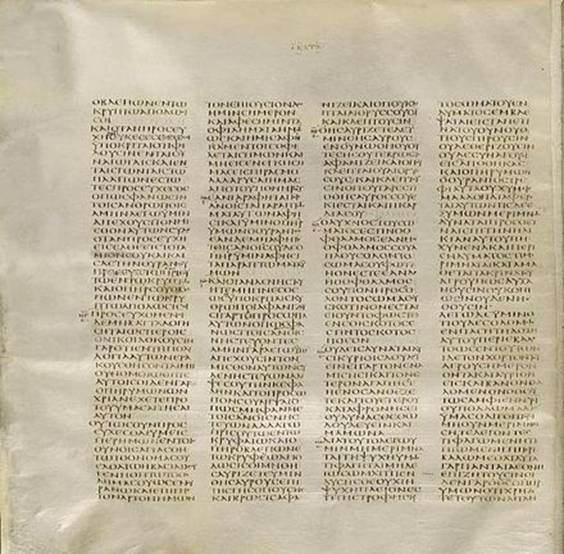 King is calling the receipt-sized slip of papyrus “The Gospel of Jesus’ Wife.” She believes it was originally written in Greek, and later translated into Coptic, an Egyptian language. 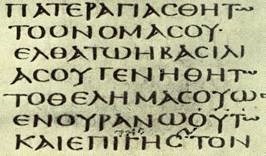 The fragment says, “Jesus said to them, ‘My wife…,'” according to King. The rest of the sentence is cut off. Another segment says, “As for me, I dwell with her in order to…” The speaker is not named. The fragment contains just 33 words spread across 14 incomplete lines—less a full-fledged gospel than an ancient crossword puzzle. 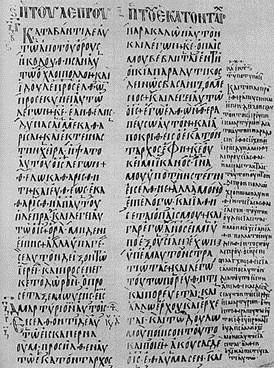 What are the early estimates of the worth of this MSS, considering that not a word of Jesus’ wife was mentioned in the New Testament? The Far Less Sensational Truth about Jesus’ ‘Wife’ (The Gospel Coalition). ‘Jesus Said to Them, “My Wife…”‘ (Christianity Today). Dr. King herself cautioned that the papyrus fragment did not constitute proof of Jesus’ marital status. But it may represent evidence of a debate among the early Christian community (say, from the second to fourth centuries) over whether Jesus was married. What if corroborating evidence of marriage is found from an earlier date? What if scholars unearth a first-century papyrus with additional lines from, say, the Gospel of Mark, which states unequivocally that Jesus was married? Would I stop believing in Jesus, or abandon my vows of chastity? It wouldn’t upset me if it turned out that Jesus was married. His life, death and, most important, resurrection would still be valid. Nor would I abandon my life of chastity, which is the way I’ve found to love many people freely and deeply. If I make it to heaven and Jesus introduces me to his wife, I’ll be happy for him (and her). But then I’ll track down Matthew, Mark, Luke and John, who wrote so soon after the time of Jesus, and ask them why they left out something so important. There seems to be some serious doubt about the authenticity of this manuscript. The secularists and atheists would love to find it authentic so that they could debunk 2,000 years of Christian history – and to expose the four New Testament Gospels as being grossly negligent in not presenting this critical piece of information. Although Professor King has dubbed the fragment, The Gospel of Jesus’ Wife, this is intentionally provocative. 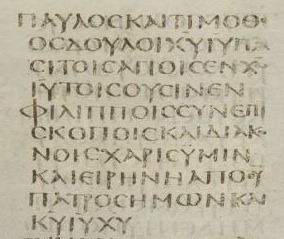 There is simply not enough material here (eight lines on the recto, a few words visible on the verso) to call it a gospel at all, let alone the gospel of Jesus’ wife! It would be more accurate to call it The Fragment about Jesus’ Relations (so the anonymous comment Posted at the Tyndale House [Cambridge] website, on Wednesday, 19 September 2012), since there is no evidence that it is a gospel and at least two family members are mentioned (Jesus’ wife and Jesus’ mother)…. Does this fragment prove that Jesus was married? The answer is an emphatic no. At most, it can only tell us what one group of ‘Christians’ in the middle of the second century thought. But it says nothing about true history, about Jesus of Nazareth. The fragment that King calls the Gospel of Jesus’ Wife could well contribute to the study of Gnosticism in the second or fourth century, but Witherington said it’s not a game-changer for our view of the first-century Jesus. “While this fragment is interesting, if you are interested in the historical Jesus, this is much ado about not very much,” Witherington said via email. Witherington noted that experts who have gotten a close look at the papyrus say it’s genuine, but he cautioned that “we cannot be absolutely sure of its authenticity or origins” as long as scholars can’t track down the details surrounding how, when and where it was discovered. “It’s certainly not reliable for saying anything about the historical Jesus,” Ehrman told me. “But what it is important for is that this would be the first time we have any Christian authority or Christian group indicating that, in their opinion, Jesus was married.” Like King, Ehrman suggested that such claims might have figured into early Christian debates over the comparative merits of marriage vs. celibacy. Witherington said the text could be open to alternate interpretations. “In view of the largely ascetic character of Gnosticism, it is likely that we are dealing with the ‘sister-wife’ phenomenon, and the reference is to a strictly spiritual relationship, which is close but does not involve sexual intimacy,” Witherington said (Alan Boyle, Science Editor, NBC News, ‘Reality check on Jesus and his “wife”’). While marriage in and of itself is not wrong—it was instituted by God in the beginning as a “ very good ” human relationship ( Genesis 1:26–31 )—the notion that Jesus, the Son of God, could have married raises numerous theological concerns. The Bible teaches that in marriage, husband and wife become “ one flesh ” ( Genesis 2:24 ). So if Jesus, who knew no sin, married a sinful woman, would not He and His wife become one flesh as well? Think of some possible implications of such a scenario. By becoming “one flesh” with a sinner, would Jesus become tainted by sin? What type of nature would children from this union have? Jesus was sinless and had both a divine and human nature, yet His supposed wife would have had a sinful nature. So would children of such a union be born without sin or with sin? As physical children of the Son of God, what type of relationship would they have to God the Father? The whole idea of Jesus being married introduces a vast array of confused theology. I find this to be a valuable insight of what would happen if the perfect God-man, Jesus, married a sinful human being and had children with her. Based on the above evidence, I won’t be throwing out the New Testament Gospels or changing them to agree with this new and perhaps fanciful view of Jesus’ having a wife. Jesus’ marital state is still a no-brainer when compared with the existing historical evidence. Christian Fellowship Forum, The Fellowship Hall, ‘Why I avoid discussing life after death’, Melissa #201. Available at: http://community.compuserve.com/n/pfx/forum.aspx?tsn=201&nav=messages&webtag=ws-fellowship&tid=122769 (Accessed 31 January 2014). Ibid., ozspen #202. I have changed a couple of words from my Forum post. ‘What IS the truth about the Gospel of Jesus’ Wife? Harvard delays article intended to resolve mysteries of papyrus which “shows Christ married Mary Magdalen”’, Mail Online, 7 January 2013. Available at: http://www.dailymail.co.uk/news/article-2258465/Authenticity-row-Jesuss-wife-manuscript-continues-tests.html (Accessed 31 January 2014). James Martin (a Jesuit priest), ‘Mr. & Mrs. Jesus Christ?’ The New York Times, September 19, 2012, available at: http://www.nytimes.com/2012/09/20/opinion/mr-and-mrs-jesus-christ.html (Accessed 31 January 2014). Daniel Burke, ‘Jesus said to them, “My wife…”’, 19 September 2012, Christianity Today, available at: http://www.christianitytoday.com/ct/2012/september-web-only/jesus-said-to-them-my-wife.html (Accessed 31 January 2014). Op cit, Daniel Wallace, 21 September 2012. Copyright © 2014 Spencer D. Gear. This document last updated at Date: 15 September 2016. This entry was posted in Jesus Christ, Manuscripts on 1 February 2014 by spencer.